Sale Network - BOPP Jumbo Roll,BOPP gummed tape,industry adhesive tape high-quality goods stationery,coating machine, BOPP printer - DONGGUAN WEIJIE PACKAGING INDUSTRIAL CO., LTD. 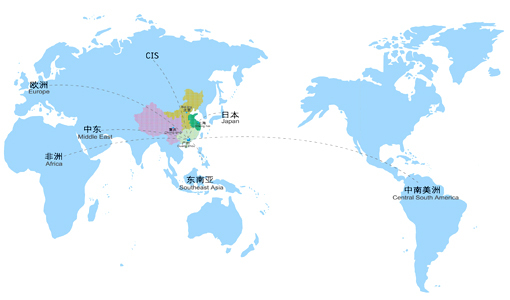 Since the product has been put into operation, Dongguan City, DongGuan WeiJie Packaging Industrial Co., Ltd. has been committed to building a strong and perfect sales network, products are exported to 30 countries and regions. Particularly in the face of mainland China's rapid economic growth, strengthened the mainland market sales network construction, respectively, at Canton, Shanghai, Beijing, Chongqing set up a sales branch office for internal sales system management into the more powerful force; throughout the whole States, up more than 350 agents, together with the perfect sales network supporting logistics system, and can be comprehensive, Express counterparts around the market demand.